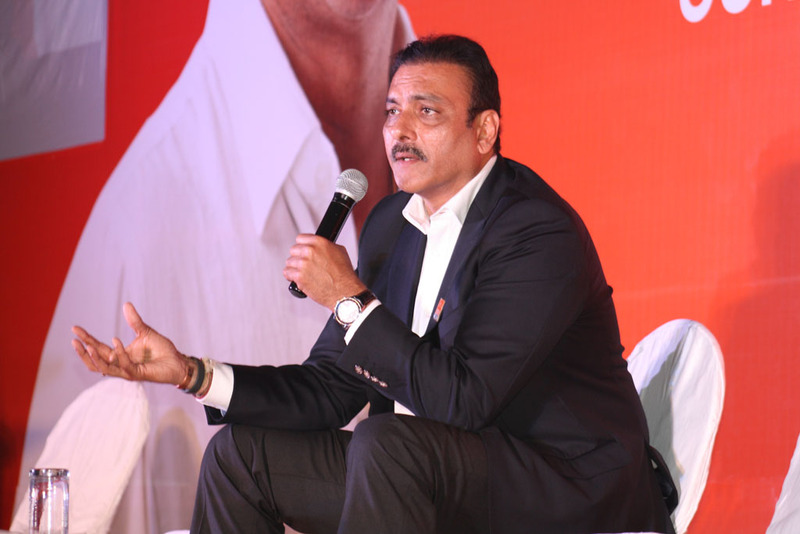 Our goodwill ambassador, Mr. Ravi Shastri visited our Durgapur campus on the 11th & the Kolkata campus on the 14th of November. He interacted with our students and took part in felicitation ceremonies. At the Durgapur campus, he felicitated the school toppers from in and around the city. DAV Model School, St. Peter’s School, St. Xaviers School, Carmel Convent School and a host of other schools were all a part of this event. At the Kolkata campus he felicitated the brightest stars from the state’s sports & athletics fraternity. The guest list included Manoj Tiwary (cricket), Soma Biswas (athletics), Dola Banerjee (archery), Joydeep Karmakar (Shooting), Bula Choudhury (swimming), Akhtar Ali (tennis & coaching), Poulomi Ghatak (table tennis) & Gurbax Singh (boxing). It was indeed, a momentous occasion for NSHM.